PlanRadar, the web-based application for construction and real estate projects, has launched in the UK to support and further intensify its European expansion. For Britain, this launch has the potential to take the country out of its 20-year long productivity slump where over a third of construction projects overrun on time (40%) or budget (35%). With its SaaS solution, the proptech firm provides the construction industry with digital construction documentation, defect and task management throughout the lifecycle of construction and real estate projects. 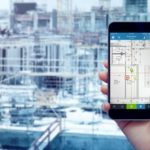 Using a smartphone or tablet, even when offline, the platform allows construction workers to automate the entire documentation process using interactive blueprints and floorplans, saving workers and project managers over seven working hours per week on admin time. More than 3,500 customers already use PlanRadar worldwide to manage construction projects and real estate processes. This new London office will now allow for increased productivity, cost efficiency and time savings for British construction. In the last twelve months, PlanRadar has increased sales by 300 per cent and expanded its workforce to 57 employees. “In light of our dynamic development in the past year and the positive international business outlook for 2019, we have also had to move our head office to a bigger location in central Vienna to support the demand,” added Imam.